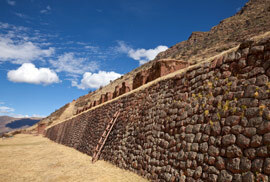 Our alternative to the classic Short Inca Trail to Machu Picchu: explore the hidden Inka Trails of the Sacred Valley of the Incas and visit Huchuy Qosqo, “little Cusco”, the largest Inca site of the Valley. On our trekking through the middle of nowhere we will pass beautiful landscapes on the way to the hidden and less visited Inca site Huchuy Qosqo before we travel on to Machu Picchu. We pick you up from your hotel and travel by bus to the small Village of Tauca where we start our trekking, surrounded by the beautiful Andean landscape. Enjoy the incredible views of the high mountain peaks of the Cordillera Vilcabamba before we start to descent toward the Huchuy Qosqo plains along a path that leads to the Cauca ravine, where we find archaeological remains of an Inca bridge and original Inka Trail. We arrive at Huchuy Qosqo, where we visit the impressive Inca site and enjoy a nice lunch surrounded by Inca agricultural terracing and enjoying amazing views of the Vilcabamba range. 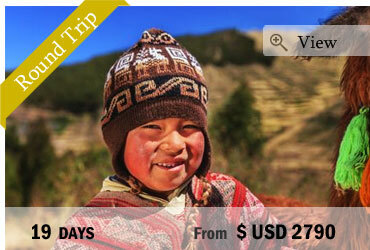 After visiting Huchuy Qosqo we continue to Lamay where we’ll catch our transport driving to Ollantaytambo. 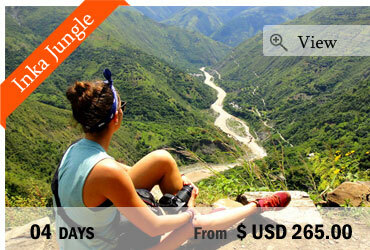 From Ollantaytambo we take the train to Aguas Calientes (Machu Picchu town) where we spend the time in a hostel. Entrance to Huayna Picchu, the “young mountain“ (7.00 or 10.00am): US$ 12.00 p.p. 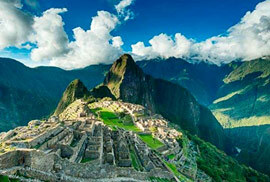 Entrance to Machu Picchu, the “old mountain“: US$ 10.00 p.p. High-quality rain ponchos to rent: US$ 15.00 p.p. Plastic rain ponchos to buy: US$ 2.00 p.p. One way: US$ 6.00 p.p. 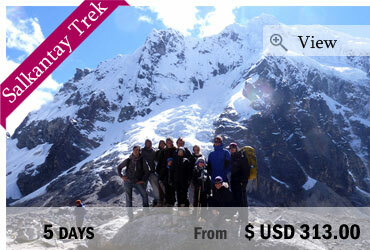 The Salkantay is a beautiful alternative to the Inca trail to Machu Picchu: few tourists, further and harder! One of the best alternatives to the Inca trail: Mountain biking, cable car, rafting, zip lining, thermal waters – Be ready for an extraordinary adventure!